I couldn’t keep my spoon out of this dish. I finished it within minutes of making it, sharing only a negligent amount with a friend. 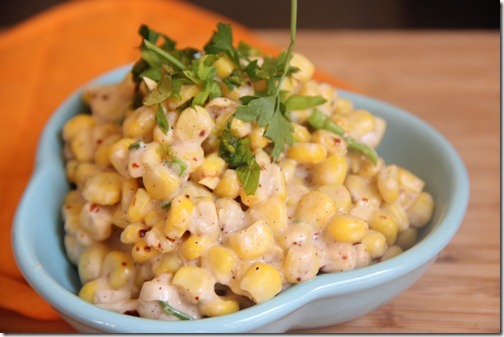 This coconut creamed corn is absolutely delicious and can be eaten hot or cold. It’s vegan, oil-free, and easy to put together. 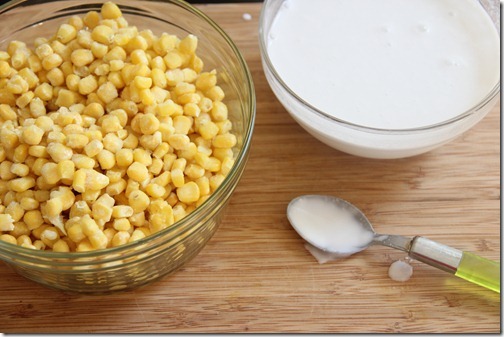 This was another contribution to EcoSalon.com, where I took on revamping a vintage 1951 Del Monte creamed corn recipe that involved eggs, bread crumbs, evaporated milk, and pork. We can do so much better than that! 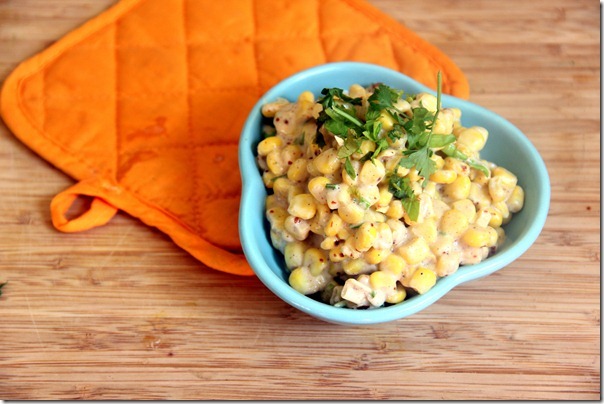 Corn: is a rich source of vitamins A, B,and E and numerous minerals. It is loaded with fiber and thus contributes to improved digestion and overall colon health. 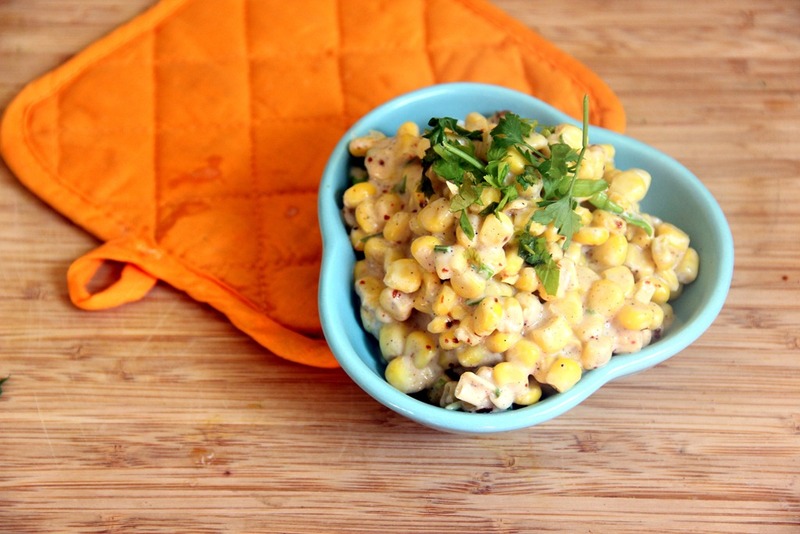 Corn’s antioxidant content also makes it anti-cancerous. 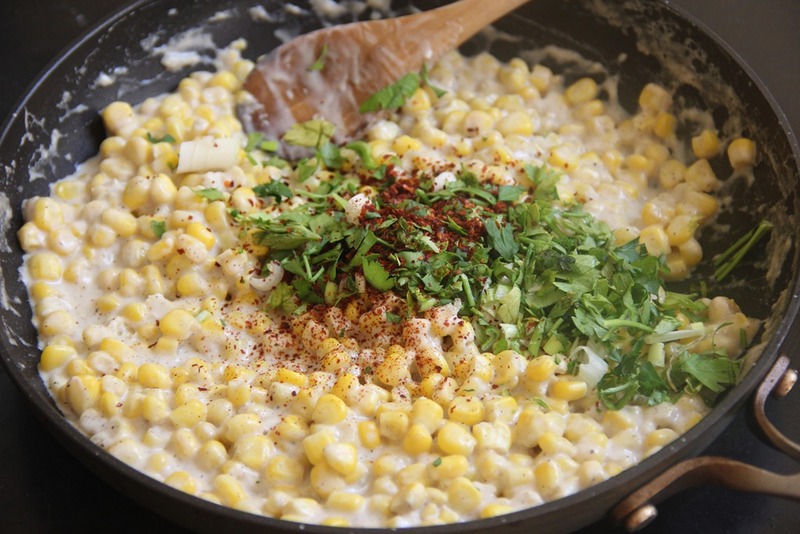 Corn has been linked to preventing Alzheimer’s. So for the sake of your figure and without compromising taste, please make this coconut creamed corn, and then lick the bowl clean. Enjoy! This entry was tagged coconut milk, corn, creamed corn, ecosalon, frozen corn, red pepper flakes, scallions, vegan, vegetarian, vintage recipe. Bookmark the permalink.